Tattoos are a fashion statement, a symbol of expression, and a unique form of art. However, tattoos can lose their luster over time for many reasons. Perhaps the tattoo fades or distorts, conveys a message that you no longer wish to convey, or reminds you of a bad relationship. Fortunately, tattoo removal in Los Angeles is available today. 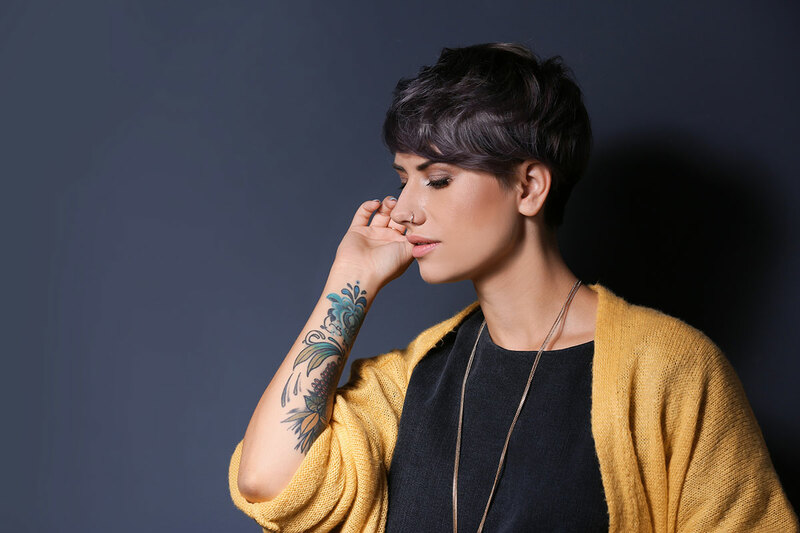 Read on to find answers to some common questions about tattoo removal. No. The size of the tattoo does not affect how easily it can be removed. Your sessions may take a little longer, but that’s the only downside to removing a large tattoo. What matters more is color and location. Some people like to get tattoos in sensitive areas, and removing them may result in a higher rate of redness and swelling. Darker colors are easier to remove, while lighter colors, especially pastels, may require additional sessions. How Does Tattoo Removal Affect Your Skin? The thought of getting a tattoo removed is stressful. Will it hurt? Will it leave a scar? Fortunately, laser tattoo removal methods mean that scarring is practically nonexistent. You will feel a slight pinching or tingling sensation, and your skin may be irritated afterwards, but it’s nothing compared to what you went through when you got the tattoo! Your skin is also cleaned and sterilized to decrease the risk of infection. You may also notice a lightening of the skin around the targeted area, especially if you undergo multiple sessions. This is because you are removing layers of skin, and your old skin is being replaced by new growth. Over time, your skin will return to its normal color. Are There Side Effects of Tattoo Removal? Tattoo removal has minimal to no side effects. With laser tattoo removal, there should be no scarring or infection, and any skin irritation will subside within a few days. Depending on how long you’ve had your tattoo and its color, it may not be possible to remove completely. For example, if you’ve had a lime green tattoo for 30 years, the ink has sunk so deeply into your skin that it may never come out, just fade with time. But laser tattoo removal may still help speed this process along. When considering tattoo removal in Los Angeles, you can feel confident that you’ve made the right choice at TattooRemovers.ink. We’ve helped thousands of patients remove unwanted tattoos, and we’ve gotten the process down to a science. Simply call us and schedule an appointment, and we’ll get that troublesome tattoo removed as fast as possible. Tattoos can be deep and beautiful works of self-expression, and sometimes a tribute to an important person or belief in one’s life. However, they can also become a burden and a regret after a period of time. If you are contemplating tattoo removal, you should become familiar with the process before deciding to go through with it. Laser removal is by far the most popular method for removing unwanted tattoos. There are other removal methods such as tattoo removal creams and dermabrasion, but laser removal is the most effective. The saline method is also popular. In this procedure, performed by a plastic surgeon, an injectable saline solution pulls the ink out of the skin. Before selecting any method of removal, you should be aware that no procedure will guarantee the complete removal of your tattoo. Laser removal is most effective on dark colors such as blue and black, and least effective on light colors or pastels like yellow and green. Your treatment specialist will provide you with an estimate of how many sessions are necessary. More sessions may be required depending on the color and complexity of your tattoo. Fortunately, at Tattooremovers.ink, we use the Cutera Enlighten tattoo removal machine, which allows us to use multiple light wavelengths in one treatment. The colors in your tattoo are removed by choosing the appropriate light wavelength to target certain colors. With multiple wavelengths, we can target multiple colors at once. After a treatment, you may experience redness or swelling on the targeted patch of skin, which usually dissipates after a few hours. However, it takes time for the ink to break down and your skin to heal, so a gap of several weeks is required between each session. Always ask your tattoo removal specialist questions and voice your concerns before, during, and after the procedure to ensure a process that you are comfortable with. It’s no secret that getting a tattoo is a huge decision. What’s ironic is that getting a tattoo is a decision that often gets made in the heat of passion, or in the midst of a drunken excursion. No wonder, then, that more than 1 out of 4 people who get a tattoo regret it. Talk about instant buyer’s remorse. Yay! We think tattoos are great, when they go right. But, when they go wrong, it’s a whole different story. Maybe you jumped the gun getting that tattoo of your significant other’s name. Valentine’s Day just happens to be among the most popular times of year that relationships end — along with Spring Break, and 2 weeks prior to Christmas. So, is that you staring at the mirror, looking at a tattoo that you’re not such a big ban of anymore? Maybe it reminds you of a relationship you’d like to forget. Maybe it’s a tattoo of this horrible catchphrase you used to mindlessly recite when you were younger that makes your adult self cringe. Think about it, how many of us are the same person at age 40 that we were when we were in our early 20s? You can change your mind, you can change as a person, and now you can change your tattoo. Everyone has their reasons for getting rid of an unwanted tattoo, and that’s okay. You don’t even have to tell us why, if you don’t want to. Throughout the month of February, we’re offering our patients 20% off tattoo removal treatments at TattooRemovers.ink, when you bring us our Facebook ad, or when you mention this discount at the time of your treatment. Whether you need to get rid of your tattoo due to a V Day breakup, a particularly eventful Singles Awareness Day, or even if you’re just plain sick of looking at the thing, we can help. TattooRemovers.ink uses multiple lasers to treat a variety of multi-colored tattoos (no matter the color or complexity). We custom-fit our treatment plans to ensure maximum patient comfort, helping each individual reach their aesthetic enhancement goals on a case by case basis. We proudly serve Woodland Hills, Van Nuys, Los Angeles, Sherman Oaks, and beyond. We understand what it takes to complete a tattoo removal campaign successfully. Call today to schedule your consultation with Dr. Aldridge. You have a tattoo you don’t want anymore. Trust us when we say that you’re not alone. As far back as the early 2010s, 100,000 tattoo removal procedures were being performed on an annual basis, increasing steadily by up to 20% each year. As we know, when a need arises, the market responds. In this case, DIY tattoo removal kits started springing up, mostly on the internet. In our quick fix culture, these might seem tempting, but Dr. Aldridge would like to question against DIY kits, because they could cost you more than you bargained. Many of these removal kits contain dangerous acids or dermabrasion agents that remove top layers of the skin. Sometimes these kits will instruct users to incorporate a dermabrasion tool and scrape off the top layers of their skin themselves only to apply a gel of unknown origin directly on the tattoo. Scarring and skin discoloration is a common result. These kits can’t possibly remove tattoos like they advertise. Professional tattoo inks are deeply embedded within the dermis. Only laser tattoo removal can safely (and effectively) penetrate the skin’s layers to rid your skin of unwanted ink. Forget Scarring and Unsightliness, You Could Also do Nerve Damage! Alternate tattoo removal methods that people attempt at home are frightening and damaging. People use saltwater scrubs that have high chances of scarring and infection. People resort to excision or burning, which will leave behind giant scars, bleeding, infection, and cause serious nerve damage that can’t be undone. Many people even try to remove their tattoos by applying chemical peels. Superficial and even deep chemical peels prove ineffective for complete tattoo removal. If you choose to go DIY on this one, you’ll risk scarring, because abrasive exfoliants pose potential damage and irritation to the skin. We hope our message is clear: stay away from DIY when it comes to tattoo removal. Laser Tattoo Removal with TattooRemovers.ink is the only way to go. Outdated and alternative methods are outdated and alternative for a reason. They simply do not work effectively and put users at abject risk. Laser tattoo removal works effectively by targeting color pigment clusters deep within the skin’s dermis (between the epidermis and subcutaneous tissues). Radiated laser light beams get absorbed by tattoo pigment, breaking it up for successful absorption through the body’s natural processes. Contact TattooRemovers.ink today if you’d like to have your tattoos removed safety and effectively by professionals who do the job every day. Whether it’s that cool tribal band you had to have on your bicep or the peace sign with an orchid on your lower back, your tattoos are transmitting messages to coworkers and potential employers. Salary.com conducted an intensive survey and gleaned results that show visible tattoos at work could be having a negative effect on your job and potential earnings. A study from Pew Research Center found that almost 40% of people between ages 18 to 29 have at least one tattoo on their body. So why is it still such a big deal to employers? Of the nearly 2,700 people we surveyed, 12% reported having a visible tattoo that can be seen by managers and coworkers during the workday. 76% of those who took the survey feel tattoos can hurt an applicant’s chances of being hired. 39% believe employees with tattoos reflect poorly on employers and places of business. 42% of those surveyed feel that visible tattoos are always inappropriate at work. We’d like to add that only 4% of those who have tattoos reported facing any sort of discrimination due to their ink. Of course, people might not be aware of discrimination. To give an overall sense of the picture, 42% surveyed feel that any visible tattoos are inappropriate in a workplace setting. A person’s age plays a sizable role in tattoo perception as well. The younger generations are most likely to have tattoos, but there is one surprise. People aged 26-32 years actually edged out the 18-25 demographic range (22% to 21%, respectively). This number drops drastically with age, bottoming out at less than 1% of people aged 60 and older possessing a tattoo. It is between these age groups that a very clear difference of opinion emerges regarding tattoo appropriateness in the workplace. In short, the older you are the less tolerant you probably are regarding tattoos. 22% of people ages 18-25 were accepting of tattoos in the workplace setting while 63% of people 60 and over find tattoos disagreeable at work. If you’re getting a tattoo, that’s a personal decision. But remember to think about the big picture. If you’re working at an exciting startup with relaxed policies, you might consider a tattoo more seriously than you would if you were working for an established Fortune 500 company. Also keep in mind that more and more employment sectors are opening up to the idea of tattoos in the workplace daily. If you need your tattoo removed to get that job you’ve been trying to land, contact TattooRemovers.ink today. Copyright © 2019 — TattooRemovers.ink • All rights reserved. Dr. Sean Aldridge is a Sherman Oaks tattoo removal specialist incorporating the latest laser technology, but serves clients throughout the Hollywood and Los Angeles area.